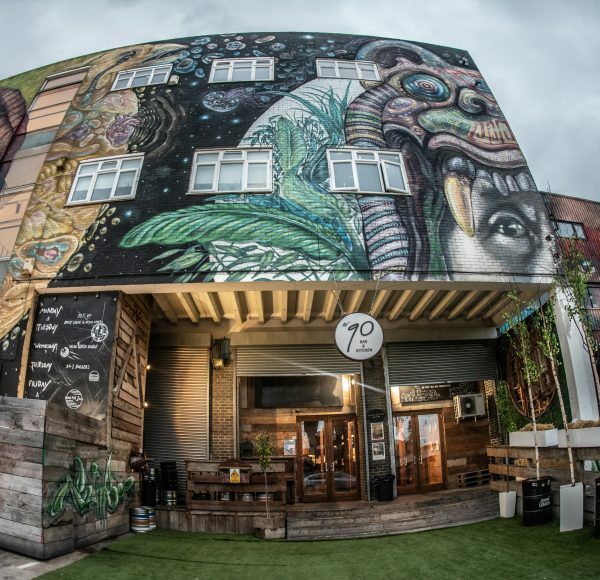 The urban Hackney Wick bar and restaurant scene is growing up. Stalwart hang out Bar Number 90 is 5 this weekend, and will be celebrating accordingly. Whatever the occasion at Number 90 there’s always a DJ playing in the great space and this weekend it’ll be Tom Trago and Phonica Records marking the weekend. 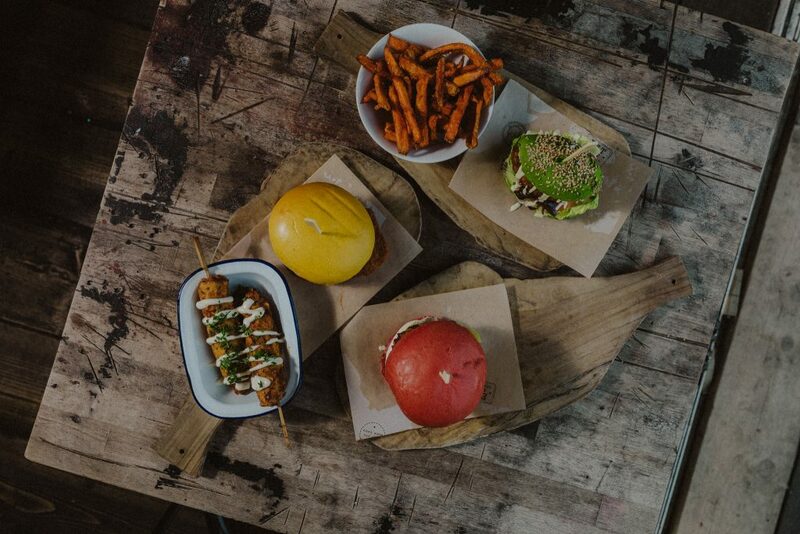 For those that don’t know Hackney Wick already, it’s an East End ‘destination’ known for its canalside, spacious restaurant-bars serving craft beer, proper burgers and pizza to its creative London goers. 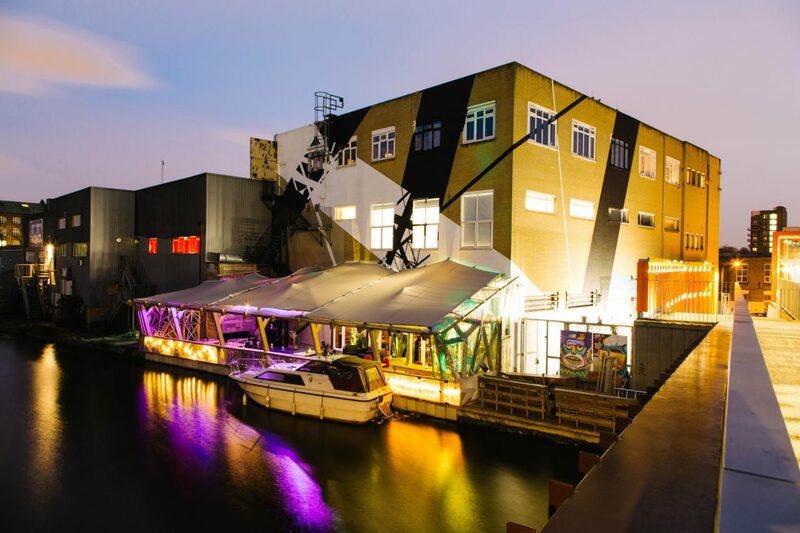 The summer scene in Hackney Wick is strong; There’s space, good music and always a (relaxed) party atmosphere. Number 90 has a huge deck on the canal, its other side opens onto Main Yard, a short walk from the overground station. This weekend its celebrating big. ‘Bigger than ever’, actually. 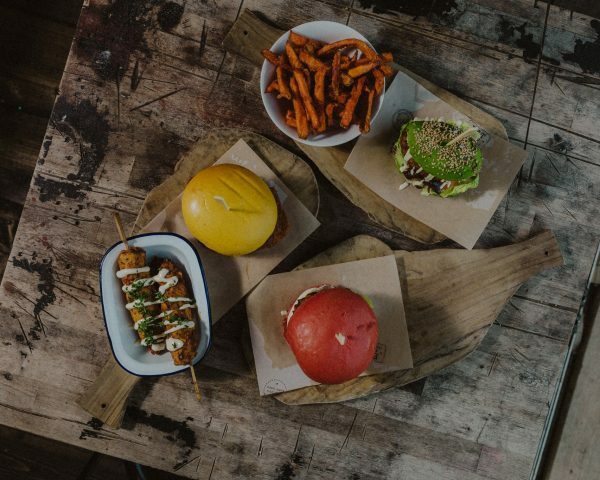 Cocktails, weekend food – by which I mean generous portions of Mac n Cheese, burgers, kebabs and all things good – music, DJ sets and even a Saturday surprise are on the menu. Even better, it’s a free party for weekend wanderers. The main focus of the weekend will be the assemblage of music. Saturday will have a late night licence with music running from 6pm to 6am. Legendary London record store Phonica Records is hosting the evening’s music with guests playing alongside. Nextdoor, Studio 9294 is opening up for all-night partyers with the likes of Vicious Creatures, Late Night Tales and London Disco Society. Sunday will cool it down with Sunday roasts and a funky feel-good soundtrack by Tropical Disco. This extravagant weekend of partying is not only to celebrate Number 90’s 5th birthday but also to thank the bar’s brands, friends and neighbours. Hackney Wick is a close-knit community and a creative London hub, and celebrating this scene is part of Number 90’s ethos. If the late hours and reputation of Number 90 aren’t encouraging enough to make the journey, remember there’s also the other handful of Wick joints to amuse you. Crate is one block down the canal, again with an awesome water-side deck and pizza that draws people across the city to this edge of London. Truman’s Brewery is an old name in British brewing, with beer in cask, keg and bottle at this new location in Hackney Wick. The area is a micro London, collecting the city’s best breakfast spots, drinking scenes and collections of restaurants so you basically won’t have to leave for want of anything on a weekend out. It’s the ‘hipster heartland’ and this weekend one of its own is celebrating a birthday. It promises to be a good one. Take it how you will – heavy or chilled – but a free atmosphere this early in the British summer is not one to be missed.